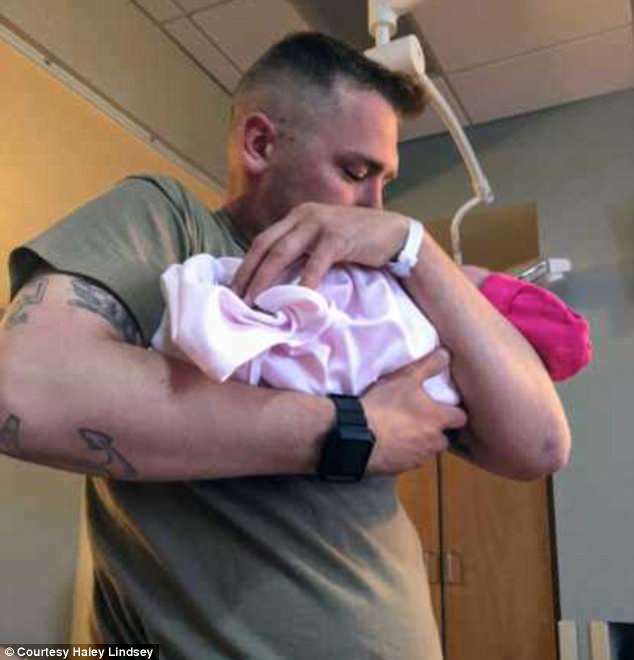 A soldier stuck in the airport watches his daughter birth on FaceTime. Due to a flight delayed, Brooks Lindsey wasn’t able to be present at his baby birth. While his flight from Texas to Mississippi was delayed, the soldier sat into a corner watching his wife giving birth. A woman captured the touching moment. Then she posted the heart-melting scene on Facebook. 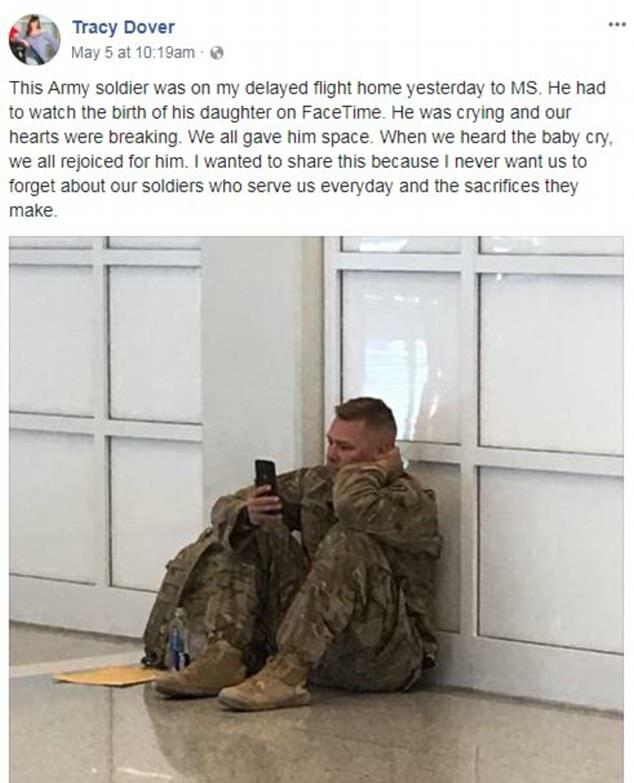 “This Army soldier was on my delayed flight home yesterday to MS. He had to watch the birth of his daughter on FaceTime. He was crying and our hearts were breaking. We all gave him space. When we heard the baby cry, we all rejoiced for him. I wanted to share this because I never want us to forget about our soldiers who serve us everyday and the sacrifices they make,” she said. Brooks arrived two hours latter to the Mississippi hospital, holding his sweet little baby for the first time. This was definitely the hardest mission he’s been through. You can see how nervous he is and how he breaks down to tears, when his daughter Millie is born. The entire airport started to cheer when saw him. Watch the video bellow to see this lovely and so touching moment!